You’re Weird! At least Different. Okay, maybe Unique? I have 758 friends on my facebook page and 158 people “like” my business True North Financial Fitness Coaching. That is quite a few right? The stats are showing me that I have around 25 regular readers of this blog. A rather small amount compared to those who may have access to it. So, statistically, if you are reading this right now, you’re one of those 25. THANK YOU! For being in this small minority of people who take time every week to tune in and read whatever crazy ideas my Thursday mind has conjured up! I am Very interested in Your Story, what sets You apart, and which topics that I’ve written have spoken to you the most. I want to continue to let these words flow from my own unique mind. I also now want to know what unseen force has magnetized Your weird brain to mine! I would LOVE to hear from you! How about a couple questions to ponder or answer if you feel so moved. 2.What makes you want to learn more about financial peace? 3. Do you envision yourself in a wealthy future? Thanks so much for your feedback, as this unique… Actually SPECIAL community grows, I want to send appreciation to You for being part of it. Yesterday, I had a few extra minutes to spend before seeing a client in Ottawa. I drove out 15th street to Highland Cemetary. As usual, I rolled up quietly by the grave markers for My Grandfather, Grandmother and Dad. “We’ve got your back!” is actually the message conveyed to me by them. This whole Weird, Different, Unique way that I see and am now persuing life and my goals is actually in my DNA. This is proven in the camera-phone pics below. Take a look at this picture. 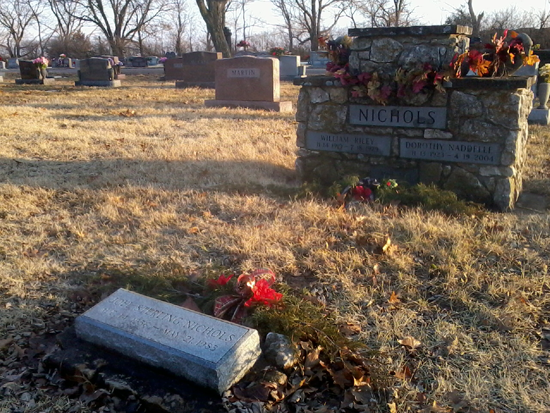 In the foreground, the small stone is my Dad’s, the next is his parents’. Just yesterday it occured to me that all the other stones in the area are factory-made, polished and purchased and pretty. This is in my DNA, it is my nature to be different. I was blown away by this simple realization. Honestly, there have been times in life that I have been very uncomfortable with feeling like an outsider, or weird or not part of the normal crowd. Now that my weirdness has led me down a path to debt-freedom, entreprenuership & passion for helping others, I couldn’t be happier about all of it. Funny how God works. He’s given us all the tools we need, to be the person we came here to be. Sometimes they lay unseen right in front of our faces for years at a time. Are we ready to open our eyes? Because you are reading this, because you are one of the 25. I believe you are. Only weirdos would tune in every week to this silly blog. Thanks to You too for “Havin’ my Back!” I trust you’ll be here next week for more! Geese Don’t Fly in No VEEE!! At least around Princeton Kansas they do. The flocks of Canadian Geese are always coming and going. 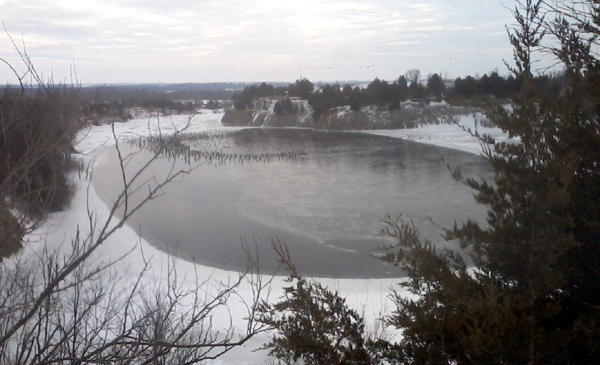 They’ll find a field to frolic in, or maybe, as the picture below shows: A secluded quarry lake with ice, open water and protection from the wind. What can we learn from these long-travel migrants that cover thousands of miles each winter? What can we find out about ourselves, and yes, our finances in these great Vee’s in the sky? The V formation greatly boosts the efficiency and range of flying birds, particularly over long migratory routes. All the birds except the first fly in the upwash from the wingtip vortices of the bird ahead. The upwash assists each bird in supporting its own weight in flight, in the same way a glider can climb or maintain height indefinitely in rising air. In a V formation of 25 members, each bird can achieve a reduction of induced drag by up to 65% and as a result increase their range by 71%. The birds flying at the tips and at the front are rotated in a timely cyclical fashion to spread flight fatigue equally among the flock members. The formation also makes communication easier and allows the birds to maintain visual contact with each other. I want to point out something that this technical explanation does not. Geese Have NO IDEA what a VEE Is! “Upwash” and “Wingtip Vortices” are just plain Hogwash to a Goose! Seriously, can we conclude that their “In-Flight Choreographer” has explained ahead of time who flies next to who, how far to space yourself, when to do-si-do and turn yourself around?? I think NOT! The Goose Flies: WHERE IT IS EASIEST TO FLY!! If you were a big ‘ol Honker and had a’ways to go, would you flap along all by your self out in the middle of nowhere? When pulling up alongside your pal, you’d find quite a lift of breeze and all of a sudden it is Much Easier to float along; what would you do? Would you mind that your energy now helps lift your neighbor that rides up behind, to your right or left a little? Heck no, the more the merrier! What about the poor guy up front, breaking the air for all his followers? Well, when he gets tired, and backs off, someone Well Rested is right there to take his place. The leader then gets to go and float along till his turn comes back around. He’s then renewed and ready for more action! We can break down this amazing sky-dance into physics terms; or we can simply understand that when you have a long way to go… Do what is EASIER! Living a Debt-Free and In-Control financial lifestyle is just like flying in the “Upwash” and “Wingtip Vortices”. Everything just seems to require less effort. The number of decisions to make per week on paying bills or juggling finances is dropped to near zero. The stress of stretching a paycheck across that last week of the month is gone. The energy and work it takes to “Rob Peter to Pay Paul” can be spent in other areas of life. Believe me, you can go 70% further with your money when living debt-free! Well, we have powerful exercise equipment to strengthen your wings. We can cut loose as much unnecessary weight as possible. By powerful focus and extra-hard flapping of your God-Given wing-power, for a temporary distance, you can catch up and ride easy-breezy with the gang. Those of us in the Debt-Free Vee want you up here with us. We’d love to show you the view. You too can go thousands of extra miles, thousands of extra dollars, ahead of those trying to do it all on their own, fighting turbulent winds while carrying extra baggage. During these frigid snowy days, I get another idea in my mind… Guess what happens when you have the strength, stamina and a flight plan to fly thousands of miles at a time? You can choose to go South for the Winter! Thanks for flying along with my blog through all these windy writings. I am truly honored to have you in my flock! 1 out of 3 Four Year Olds Know the Path to Wealth, Do You? Bright White. Soft and sugary. A fat powdery coated puff of marshmallow can be a tasty time machine that instantly transports you back to childhood… It also can tell you if you will end up wealthy or not. In the Stanford Marshmallow Experiment (1972), conducted by Prof. Walter Mischel, at Stanford University, California, we find the research that proves my theory. You may have heard of this challenge: A 4 year-old child is put in a room by themselves with one marshmallow sitting on the table in front of them. They are told that if they can wait alone with that marshmallow for 15 minutes and not eat it, they will get two marshmallows… hmmm, does that little “deal” sound familiar? In the experiment, 2 out of 3 kids ate the marshmallow before the time was up and therefore only got one. The other third of the children did wait it out and ended up getting twice as much; Two Marshmallows! They were naturally good at Delaying Gratification. These children were followed until thier college years. There we saw that the ones who waited had a much higher success rate in school and other areas of their lives. They were reaping the rewards of patience. I believe this has impact not only with kids and sweet treats… It also correlates with how we approach life, relationships, health and especially purchases. 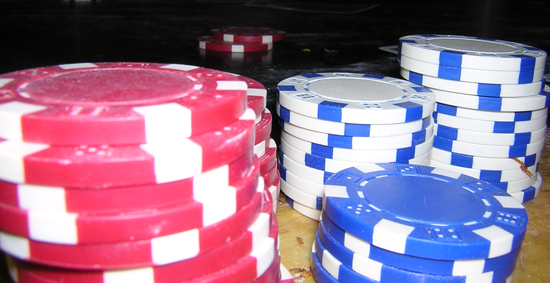 Do you choose to buy something Now with a loan, 90 days same-as-cash or credit cards? Or do you choose to wait on a purchase and save the money up to buy something? I know that this is a universal law, that when you wait and delay gratification, you get a more abundant result. Believe me, I have been the Insta-Eater kind of kid for many years, and still have lots of work to do on this issue. I love this simple analogy. Now when I am making a decision on a purchase or whether or not to eat that fresh-baked cookie, I realize that waiting will bring a bigger reward. Here is your take-away for the your own MarshMoney test: Of the kids who waited, some had tricks for making the agonizing 15 minutes go by easier… They looked around the room, they played with the chair or their shoes, they basically Didn’t Look At the Marshmallow! Stay away from the Mall or the Electronics Store, Stay out of the Resturant where you have to feel weird ordering the cheapest thing there. Keep the spending tempations away from your senses and it will make the process so much easier. I promise you that being out of debt and having financial freedom is worth the wait!